your little one while the racerback design and thin straps allow for great support and maximum freedom of movement. The material is ultra-soft and quick drying, while the adjustable and flexible fit makes it ideal for adapting to your changing size. This maternity sports bra is perfect for yoga, jogging and long walks. 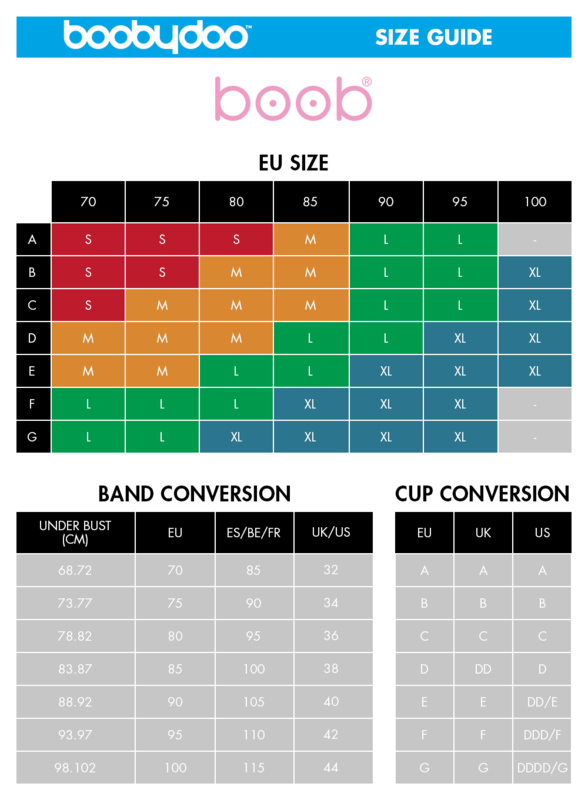 boobydoo says: Reviewers said they were surprised at the level of support, saying that it gives more than your average crop style sports bra, however, they still felt it was best for low to medium impact activities and shouldn't be used to run in. They also felt that the nursing features were very easy to use. I’m a mum to 8month old Arthur as well as a personal trainer who runs mums & babies WARIORRR classes in Islington. I’m constantly on the move and fitting mini workouts in whenever I can so I’m normally in fitness gear. This bra reminds me of the Shock Absorber, but it actually looks prettier. I was pleasantly surprised by the style and material used. I was slightly disappointed that it didn’t offer more support as I’ve yet to find a good nursing sports bra that can also be used for running, but it’s perfect for activities such as yoga and pilates. It’s also quite flattering. Found it super easy to use – it felt like a nursing bra but with more support. I did low impact classes which involved pilates-style exercises. The sports bra was definitely more supportive than a normal crop top style nursing bra and very comfy. I thought the material was lovely and soft and I liked the colour – it didn’t look like a nursing sports bra and was also pretty stylish. I think it’s perfect for low impact activities and was well made and easy to use. I definitely wouldn’t run in it. I’d also suggest maybe going a size smaller – I’m normally a 34C but the medium felt a little roomy, even when done on the tightest setting. This sports bra is soft, easy to get on and adjust straps. Very easy to unclip and nurse, bra when folded down doesn't get in the way of feeding. I wore this for Pilates, taebo (low impact) and I felt great doing and very supported. I attempted running and couldn't as I had too much bounce this was the same when I tried an aerobics class. Liked the adjustable straps but think they needed to be thicker and padded to give more support. It washed really well, no bobbling and kept shape.